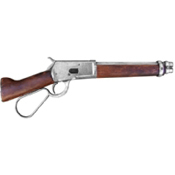 M1892 Looped Lever Blued Rifle Movie Version Western Carbine: Features famed looped lever made famous by Chuck Conners as Lucas Mccain in "The Rifleman". 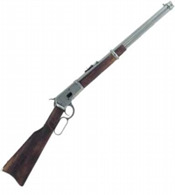 Complete with wood stock and working lever action. Length: 37 Weight: 5.5 lbs.